1. 8 Degrees Plato Detroit - Live music and Oktoberfest beers on tap. 2. 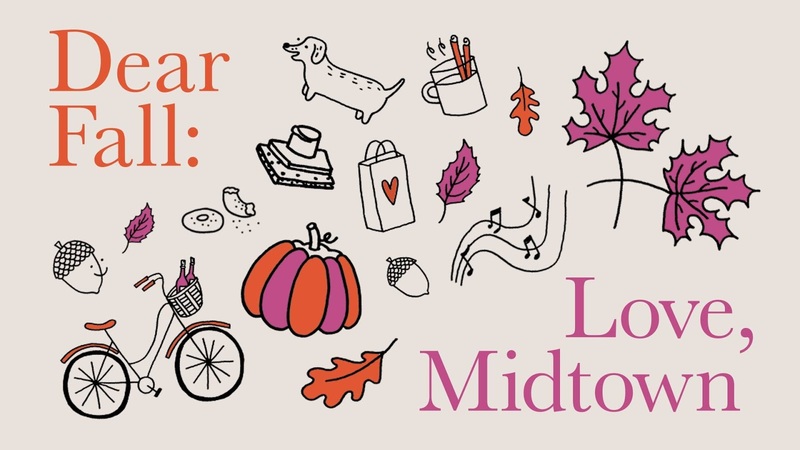 Artloft - Sidewalk tent featuring fall specials, treats and music. 3. Avalon International Breads - Harvest Bowling on the patio with a food drive to support Forgotten Harvest. 4. Blossoms Midtown - Community visit with a local mounted division officer, fall floral arrangements, and refreshments. 5. Bolero Latin Cuisine - Sangria and tapas on the patio with live music. 6. The Bottom Line Coffee House - Live music in the afternoon with drink specials. 7. Cass Cafe - Live music on the patio and fall chef specials. 8. Cass Collective Detroit - DIY fall-scented body scrub with E. Rose Touch of Elegance, sampling of wine and cider, and promotions. 9. Cass Corridog - Activities including “Ask the Trainer”, free nail trimming, toy demonstrations, treat samples, and a doggie Ice Cream Social. Raffles and prizes throughout the day. 10. City Bird / Nest - Music with the Post Imperial Jazz Band, fall sales, food tastings and pop-ups throughout the day. 11. 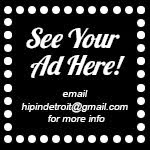 Detroit Shipping Company - Live music and pop-up brewery specials. 12. Flo Boutique Co. - Flo Fall Fashion Challenge (winner receives a prize!) and autumn fashion tips with live mannequins. 13. Founders Taproom - Detroit - Special tappings of KBS, Blushing Monk, and more, grilled seasonal fare, yard games, live DJ sets on the patio from 2-6pm, and school supply drive for grades 9 through 12. 14. Fresh101 - Savory Buddha Bowls, harvest smoothie bowls, and a vegan soul-Caribbean pop-up by Paradise Foods. Sounds by international DJ/Producers. 15. Great Lakes Coffee Roasting Company - Live music on the patio, harvest food and drink specials with Great Blake’s Coffee Cider. 16. Jolly Pumpkin Pizzeria and Brewery Detroit - Harvest themed food and drink specials. 17. La Feria Detroit - Fall wine tasting of 3 Spanish wines paired with 3 Spanish cheeses perfect for the Autumn Palate. 18. Le Petit Zinc - Specials featuring a ratatouille crepe and squash soup. 19. Little High Flyers - Interactive music sessions with Melissa Sigh (2pm). 20. Nora - Celebrate the first birthday of the ‘4 Detroit’ cookbook with a raffle of gift cards to our partner restaurants. Samples of wines and Gold Cash Gold’s truffle honey. 21. Pure Detroit - Enjoy an s’mores roasting station and s’mores kits with every purchase. 22. Sfumato Fragrances / Castalia - Celebrate the 5-year anniversary with music, Taku Taku food pop-up, new drinks, and the release of a custom gin created with Detroit City Distillery. 23. Shinola - Cider & doughnuts, pumpkin painting for kids and a floral workshop. 24. Slows To Go - Launch of a new seasonal sauce. 25. 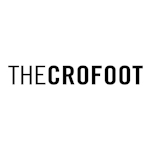 Source Booksellers - Activities throughout the day including yoga, mini tastings of recipes from the book Coconuts and Collard Greens, and an evening Annual Fall Equinox conversation. 26. 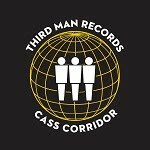 Third Man Records Cass Corridor - Live music, shopping and promos. 27. Third Wave Music - Live folk, blues and traditional music performances throughout the day. Libby DeCamp performs from 3-4pm with Jerry Dreams from 6-7pm. 28. Traffic Jam & Snug - Food and drink specials, behind the scenes restaurant tour including kitchen, bakery, dairy, brewery and rooftop garden. 29. Treat Dreams Midtown - Special doughnut sundae with cider sauce and a pop-up tent with Blossoms florists. 30. Tulani Rose - Sidewalk sale and pop-up dessert cafe featuring The Blakery and a musical celebration honoring the 92nd birthday of master musician, John Coltrane. 31. Union Street Detroit - Harvest Chef features with an extended happy hour. 32. Will Leather Goods - Fall shopping and a pop-up floral truck with Pot + Box. 33. Willis Show Barr - Special outdoor performances with The Heavy Petters, tunes spun by The Dapper DJ, Marianna Vermiglio & Willa Rae, and local vendors including Hustler’s Wife, The Standard Detroit, Quetarshe Textile Company, Sonic Juju, Detroit Friends Potato Chips, Cyntsational Popcorn & Detroit Gourmet Nut Company, a special “Dear Fall” Cocktail Selection, Vintage Cars, Sidewalk Chalk Art & more! Saturday looks like it will a beautiful first day of fall, with temperatures topping out in the low 60s. So throw on those boots that you've been dying to wear and spend the afternoon shopping, sipping, and enjoying music in Midtown!